Motorola senior director of software product management David Schuster, said on Wednesday that Motorola will soon start rolling out Android 4.4.3 to the 2013 DROID handsets. That means that the Motorola DROID Ultra, Motorola DROID MAXX and Motorola DROID Mini will all skip Android 4.4.2 to receive the latest build of Android, which was just sent out to Nexus devices and certain Google Play edition models. Schuster said that Motorola had some issues with Android 4.4.2, forcing the manufacturer to make a decision. They could have gone with Android 4.4.2, but that would have meant a delay of as much as a month in sending out Android 4.4.3. 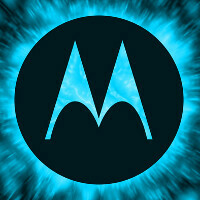 Instead, Motorola decided to go with the latter. "We are working to get this update to you shortly," he says. As we told you on Tuesday, Motorola is currently updating the Motorola Moto X, Motorola Moto G and Motorola Moto E with Android 4.4.3. Yeah, (and I use a s5..) Atrix HD is one of my favorite looking phones. Don't know why, its "utility" look just gets me. Motorola externals are my favourite. Hardware is unfortunately often lacking. At least they are rolling out updates. Motorola are behind Wp when it comes to specs. Same goes to BB. I just complained about this yesterday. My bad Motorola, you do your thing. Still a good looking phone. just brought a moto x very disappointed with it .didn't think the battery life would be so much worse and the camera performance is also bad .even my lumia 720 takes much better picture. I like my Droid Mini veryyy muchhh.